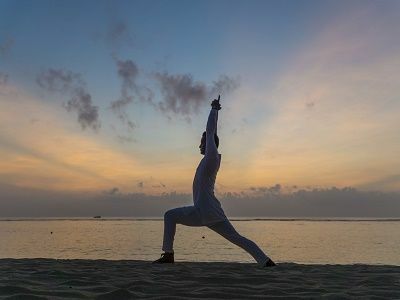 Nusa Dua, Bali, Indonesia, May 2017… The Westin Resort Nusa Dua, Bali presents an uplifting program of healthy lifestyle activities throughout the month of June to coincide with Global Wellness Day and International Yoga Day. Both celebrations are major events on the world calendar that emphasize the importance of living well and with greater awareness. Heavenly Spa by Westin will complement its menu of replenishing body and beauty rituals with a series of daily lifestyle sessions. Resident Wellness Specialist, Jitendra Pokhriyal, will conduct these meaningful talks and impart wisdom in relation to the pursuit of physical and spiritual wellbeing. Each session will follow a dedicated weekly theme pertaining to harmonization, relaxation, purification and balance. The price to participate is just IDR 80,000 for resident guests and IDR 250,000 for non-resident guests. Trained in several holistic disciplines Jitendra hails from the birthplace of yoga in India. He is well-versed in meditation as well as a highly evolved form of touch-less pranic healing. Prior to relocating to Bali, Jitendra taught yoga in Northern India and the Himalayas. Instrumental in the resort’s wellness movement, he has been sharing his wealth of expertise with guests and associates since 2014. Global Wellness Day falls on Sunday, 11th June 2017 and Jitendra will lead a renewing morning class of aqua yoga starting at 8AM in the Premium swimming pool for just IDR 175,000 per person. This will involve low-impact exercises and stretching postures performed in water to help develop balance, strength and range of motion. Refreshments will be available from Westin Fresh by The Juicery followed by complimentary access to thermal facilities at Heavenly Spa. Similarly, the resort will honor International Yoga Day to be held on 18th June 2017 with a sunset class of yoga on the beach in front of the Temple Garden from 5PM onwards. Participants will be invited to unwind at the end of the day in natural setting with likeminded healthy living enthusiasts. Jitendra will lead a guided session of synchronized breathing and stretching exercises to promote all-round fitness and inner peace. Priced at IDR 100,000 per person, this activity includes mineral water, a cold towel and a silver-accented bracelet by SAKA for the first 25 guests. The Westin Resort Nusa Dua, Bali’s month-long program reinforces the brand’s commitment to preserving wellness in travel. A number of signature initiatives such as WestinWORKOUT, runWestin and SuperFoodsRx are in place to help guests always feel their best. An exclusive Find Your Balance room package is also available for an enhanced wellbeing experience this June. It comes with an array of added-value benefits with a special focus on personal rejuvenation. Visit http://bit.ly/2rsFIoP for further details. Westin Hotels & Resorts, a leader in wellness and hospitality for more than a decade, lives its philosophy “For a Better You™” through the brand’s six pillars of well-being: Feel Well, Work Well, Move Well, Eat Well, Sleep Well and Play Well. At more than 200 hotels and resorts in nearly 40 countries and territories, guests can experience offerings that include the iconic Heavenly® Bed, RunWESTIN™ and Westin Gear Lending with New Balance®, delicious and nutritious SuperFoodsRx™, the innovative workspace Tangent, Westin Weekend signature experiences, and Heavenly Bath and Heavenly Spa. Westin is proud to offer Starwood Preferred Guest®, the industry’s leading loyalty program. To learn more, visit www.starwoodhotels.com/westin. Stay connected to Westin: @westin on Twitter and Instagramand facebook.com/Westin.